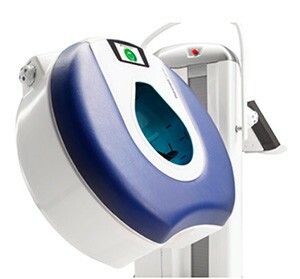 Planmed Verity® utilizes CBCT (Cone Beam Computed Tomography) technology to provide high resolution volumetric (3D) images of the extremities and maxillofacial area at a particularly low dose. Compact, stand-alone and mobile Planmed Verity can fit into almost any existing X-ray room and can be easily sited even side by side with other imaging equipment. With adjustable, soft surfaced gantry and dedicated patient positioning trays Planmed Verity provides versatile patient positioning and optimized patient comfort. Planmed Verity is fully compatible with hospital info systems and workstation softwares making it flexible tool for all imaginable work environments. Convenient positioning and open design help reducing anxiety for the patient. 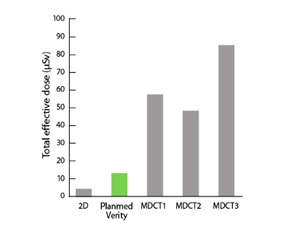 Lower dose compared to traditional ENT imaging devices due to direction of primary X-ray beam.